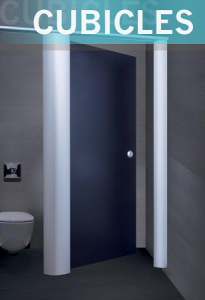 Delivering quality Washroom Cubicle Systems is what we do at RDM Cubicles. Our Nationwide servicing of cubicle solutions, includes full installation by request. We are ideally located to have your cubicles delivered to your Shropshire location within approximately one to one and a half hours of your order leaving our West Midlands based office. Contact our office today to discuss your cubicle needs. 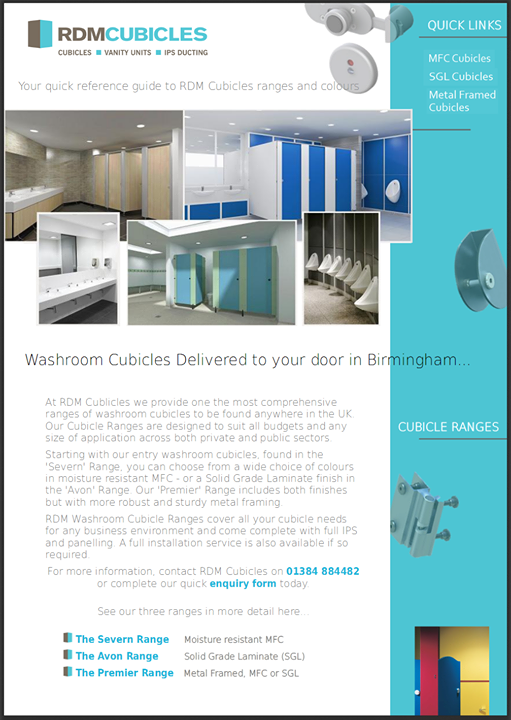 RDM Cubicles can also provide you with an extensive choice of IPS, hardware, ironmongery and Vanity Units. Bespoke enquiries welcome.